"CloudStack is our Goto solution for integrating with our PaaS and IaaS public and hybrid cloud svcs." We operate and manage several cloud infrastructure services both for ourselves and several client enterprises. Using several solutions for the management and deployment of virtualized resources, including VMware, Xenserver, and OpenStack, our Goto solution that we use internally is CloudStack. CloudStack not only integrates well with the various forward facing customer billing and management solutions we use such as WHMCS, HostBill, and Blesta, but can manage virtualized resources directly and even works well sitting atop and management vSphere, vCloud Director, etc., and Xenserver - so many of the layers that only manage services under a particular virtualization technology can still be used directly or managed by CloudStack. We highly recommend CloudStack as a solution for the management of enterprise resources in the cloud and use it everyday ourselves. Unlike the freedom that OpenStack offers in Enterprise Infrastructure design, CloudStack is somewhat more rigid in the way you can deploy it, although almost all customization is still possible, it's intended to launch and use in particular ways that OpenStack leaves to the engineering team to determine for themselves. Make sure all of your existing infrastructure management tools are working correctly (deploy, spin up, manage, snapshot, etc.) before layering CloudStack on top of them or having it manage your resources directly. As you add layers of complexity on top of existing ones, the broken parts fly further when something isn't right, making it more difficult to ascertain particular problems. Whether our clients are VPS hosting providers or operate private cloud infrastructure for their internal enterprise requirements, CloudStack provides solutions in an easy to implement and operate way that is simple to provide training for. The learning curve for our customesr adopting CloudStack for the management of their cloud infrastructure is shallow, enabling our clients to come up to speed quickly without having to outsource their administrative functions any longer than necessary. "Reliable open source solution with advanced features for cloud computing environment"
Apache CloudStack offers a solid documentation and a large community for users and developers that make troubleshooting less difficult. Is a very reliable tool for orchestration with good and simple usability. You can deploy new virtual machines with a few clicks. Due to big and engaged community, updates are available frequently in order to solve bugs and improve features. Is an open-source software that is very important to build a low cost solution. In a big environment (a lot of virtual machines and storage pools), listing resources are a little bit slow. The section for firewall rules and port forwarding also presents some slowness that may disturb usability. You should compare and try different solutions. Remember that manufactures will always try to recommend other solutions (frequently proprietary), but this is not a rule. Cloudstack is in the same level of quality. Delivering IaaS (Infrastructure as a Service) to University community. Resources are applied on research, management and education. Before that, there were a lot of local data centers spread trough the University (considering all campus). Using cloud computing with CloudStack, the operational cost was significantly decreasead. "Advanced features, simple architecture, low-cost solution for cloud computing"
the orchestration architecture is simple. With only one server it is possible to have a cloud orchestrator, provisioning network, compute and disk. Updates are often published. User authentication can be based in SAML 2.0. This product is open source and is possible to create features as your needs. Good features can be submitted to the community to be released in next versions. Almost all functions to maintenance are available in API. few vendors to create interfaces to integrate products. Currently they prefer to integrate with competitor orchestrator. 3rd party integration is poor. IPV6 implementation is incomplete and needs more attention of developers. The Virtual router may be better with more options of VPN and VPC advanced. The quota service must be improved urgently. The snapshot management needs to be more efficient because overloads the ACS in large environments with a lot of users. This product offers more features, is more updated, less expensive, more adaptable, more versatile. It supports recent hypervisors and require less resources. This product does not require any previous experience in cloud computing. It is scalable, it allows start a small environment growing up gradually. 3rd parts integration is poor. Our need was in a low-cost product, not complex, with low maintenance, resilient, able to orchestrate a large pool of IT equipment. This product has proven to be capable of this. CloudStack it's a simple monolithic agnostic orchestration tool that you need a couple hours to study, design and implement to have huge result, an entire IaaS experience. Because it's simple the troubleshooting is very easy and the providers can delivery a great SLA to their clients. To be sincere, the fact of the main manufacturers of the sector do not are involved with CloudStack is a big issue. But the problem aren't on CloudStack, I think is a manufacturer problem, because the manufacturers haven't engagement with this tool that's deployed in many Cloud Providers and largest clouds around the world. The manufacturers try to drive you to an expensive orchestration tools or even worst, drive you to a immature solution that we can't see great use cases concrete. The Apache CloudStack is an open source orchestration software very mature, very simple to design, implement and operate, as consultant and cloud provider CTO I fully recommend Apache CloudStack to many environments. The University, my first large implementation, had a big issue with 149 small data centers spread on São Paulo State, this data centers costs to university were very high, the consolidation idea in two data centers were awesome, but were worried with the management, so we adopted ACS to management of all 576 physical hosts. Now a days the university is delivering IaaS for all staff, students, teachers and researchers, they are using these resources to delivery services to their clients and have a great results in research area. "Cloud service with independence "
Apache Cloudstack an open source solution that allows us keep in touch with the worldwide community of contributors whose maintain its source code and working actively of creation of new functionalities, fixing bugs and helping other users solve their problems. The software also permits a quick scalability of hardware. For end users, the interface provides the experience of total control of your resources as if they had mini data-center. Sometimes you can find undocumented bugs that can compromise the entire infrastructure. Once you don't have an official support channel, you should try to find out the source of problem by yourself. An important point to be considered is to plan carefully all the details of your infrastructure (network, storage, servers) that will be implemented now as well as possible extensions of services. We have to provide an infrastructure of private cloud in our university in order to supply the demand of virtual resources of our researchers. Instead of each one of them to deploy a small datacenter in their labs, we can centralize all hardware in datacenters with redundancy, reliability and all services of SLA. "Quite easy to setup and handle"
The cloudstack interface is user friendly compared to other open source applications available. It's quite easy to setup and handle, it also has a big user email base where most of the issues are discussed making it a bit easy for troubleshooting. It fails in the area where instead of making stuff that works bug free it introduces new ones with every minor or major release. It doesn't have any option to support new GPGPU grid hardware. The log files could be more descriptive, it doesn't always point to the cause. If your company is willing to opt for licensed software then I would suggest not going for cloudstack. I feel Cloudstack meets my needs more than OpenStack or OpenNebula. I've done a lot of troubleshooting to resolve issues in the last four years I've worked with it. I've faced most of the issues in advance as my user base is mostly students who don't follow instructions. Any small issues or changes made to a network setup inside a VM by a user breaks the virtual router for that zone. "Apache CloudStack is the simplest solution to build API driven utility IaaS "
The CloudStack project is end user driven and well productized, available as a single installation package and has all of the key capabilities you need to build your own API orchestrated utility infrastructure-as-a-service (IaaS) including support for all hypervisors, an excellent ecosystem of compatible tools and products, and a community of contributors that is refreshingly free of large vendor influence. Despite being a small focused project that is heads-down, product and engineering focused, the Apache Foundation makes it challenging to get the word out about success stories and to attract more community. As a result CloudStack has been a popular whipping boy for analysts who are caught up in the hype of OpenStack and who don't appreciate that CloudStack solves a slightly different problem (simple and turnkey cloud infrastructure in a distinct product) whereas OpenStack provides a huge set of tools for vendors who want to build products that deliver private IaaS. 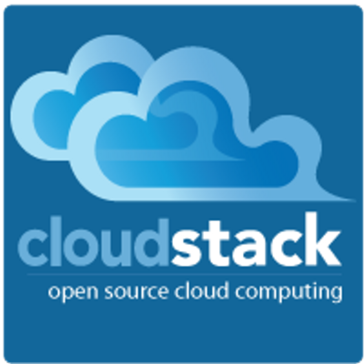 Accordingly CloudStack is much less extensible and customizable than OpenStack. Making it easier to extend and integrate would be great. Make sure you require the complexity of an API driven orchestration. Most companies simply need a relatively small on premises virtual infrastructure (i.e. Vmware or XenServer) and rely on a public cloud (AWS or Azure) for everything else. Best use cases are enterprise shared services cloud, cloud service providers and regional telcos. CloudStack has made it possible to very rapidly and cost effectively build API automated utility based cloud infrastructure for service providers and enterprise shared services, allow everyone to invest less time and effort on the infrastructure and focus more on consuming IaaS. Cloudstack is quite simple to install & configure and offers a clean GUI along with a powerful CLI and API to administer the platform. It has a rich feature set and delivers everything that you need to run a Private or a Public Cloud. It does not have a built in DR management functionality. Look at cloudstack if you want a system that simply works without a fuss. Its not as fancy as openstack in terms of features, but checks all boxes as far as IaaS essentials are concerned. We have been able to consolidate and optimize our datacenter and reduce our datacenter sprawl significantly. We are able to provision resources on-demand for users... earlier to could take upto 4 weeks. Wea are able to automate regular functions like backups etc that have reduced administrative overload. "interNuvem at University of São Paulo"
The CloudStack community is very dedicated and accessible, so it is also easy to contribute with improvements. The product need to improve UI for better mobile utilization. As an abstraction layer orchestration removes some good features that already exists in direct virtualization platforms (XenServer, KVM, VMware and Hyper-V), such as RBAC (Role Based Access Control) and deep monitoring. Delivering IaaS to the University of Sao Paulo users brings immediate benefits to the university goals, including researches that need computer resources, with Cloud Stack university faculty don´t need to worry with infrastructure details and have more time to dedicated to their real jobs. "Excelent Open Source Cloud Computing software"
CloudStack has achieved do the cloud orchestration of making the complex become simple. The cloud orchestration, providing a wide range of features to use resources in the Data Center. There are a lot of benefits but the best one for me is that become possible share the resources from data center with users by using friendly interface and a wide range of features. I had problems provisioning VMs from the UI. This was ~2 years ago and we ended up not using a private cloud, but it didn't feel ready to hand over to developers to use as their dev environment since we were having random issues. Digest the docs, roll it out, and take it for a spin on hardware you already have before purchasing machines for a Pilot. We were hoping to hand over a cloudstack enviornment to developers to manage their own VM's for testing code pre-qa. I think this would have worked if the software more mature at the time of deployment. My guess is many of the kinks has been worked out by now. If I were going to launch a private cloud, I would definitely give cloudstack another try, before trying alternatives. Mainly because the docs were so good, its apache based (love the apache community and its organisational benefits), and because the architecture/moving pieces were simple/made sense. Stability and features seems very good to me. You can find most of the cloud features you are expecting, and you'll have a real cloud solution, not a limited, partial implementation like Digital Ocean or similar services. The graphic interface can be vastly improved. It's usable but not very pretty, accessibility is terrible and it's easy to make some mistakes. Just try it, should be pretty cheap using an external provider. I manage several XEN virtual servers. Management it's quite easy (but the interface is not very good) and the platform is pretty stable. My service provider is Prometeus (Italy), i just buy credits and use their installation. It just works! Instabilities in previous versions have been fixed and the system largely just works. Some API functionality is not reflected in the built-in UI and there are a few API calls which are missing flags which exist in the backend database. My employer provides a public IaaS Cloud using CloudStack for hundreds of customers with tens of thousands of virtual machines. This has allowed us to provide customers with a burst-able Cloud to extend their existing physical solutions hosted in our datacenters as well as bringing in new Cloud-first customers who are focused on the agility a Cloud provides them. "Change to cloudstack to reduze costs"
This product have excellent feature set. Compared to other concurrent products, have the best stability, support and costs by our tests. Concurrent products have difficulties to implement, is cost prohibitive or is still at too early development stages. Because is open source software, the code can be audited and patches (to improve features or repair bugs) can be done if necessary, and shared with community. Support still at an early stage of some manufacturers, some features are primarily available for OpenStack. Because of this, we have to manage some features outside cloudstack. This takes some time. But because cloudstack is at constant evolution, this gap is reduced. I think Cloudstack needs to be more aggressive in what it's long term plans are. Homelab needs. Docker containers. Stability and maturity. The benefits is an amazing suite of tools for free, although I'm having a hard time deciding wether cloudstack or OpenNebule is better for my experimental needs. simplicity to upgrade from either bare metal or virtualization to fully cloud powered environment. lake of new components, DBAAS, quoing as a service, automation, monitoring, metrics. starting with basic and crucial services they might need. CloudStack also is good in environments that already started a virtualization, and also in environments that has some legacy workloads. A simple interface for the admins, developers and users. For the admin, everything is at one place and do not involve knowing too much about the components. For the developer, its easy to participate in the community. Everyone is always helping. For the user, the interface and UI is simple and intuitive. we used it in our office to be able to fire VMs fast and run tests/builds etc. Its easy to set up. The simplicity of the product. Literally, depending on your skills at automation, in under 2 hours you can have a fully functional cloud. Not Much. A very solid product. I run production on Citrix CloudPlatform powered by Apache CloudStack and test/dev on Apache CloudStack. Following the install guide and it will work. As a VAR/MSP, a cloud offering for our customers that is reliable and simple. Simplicity when deploying tenants. "CloudStack just works! The immediate response from Customers!" Lack of capability to detailed triaging and Monolithic. If your need is IaaS, Private Cloud, you search ends here. Cloudstack is the answer. Bringing up a private cloud with CloudStack is pretty straight forward, well-documented. Apart from rending private-cloud, the faster time to market is one of the key benefit in business sense. "Cloud orchestration made easy using CloudStack"
The installation/setup of CloudStack is clear, quicker and easy. Easy to administer and create the VMs. Lack of flexibility and has to improve in the baremetal stuff. I strongly recommend to use the CloudStack to manage your cloud services. It provides good Web interface and APIs. Create VMs for testing purposes as and when required. Efficient use of resources. The platform has lot of flexibility and is very rich in features. Some of the features are not very intuitive. Also found many bugs since we started implementation. Be aware that there is a learning curve from basic deployment in order to get where you want to get regarding service offering. Cloud Portal Business Manager not necessarily will support all the features available in Cloud Stack. We are providing public cloud services using the platform. "used it mainly to set up proof of concepts for different use cases"
The simplicity and the the robustness of the product. I would like to integrate it with containers lxc wise but until today I didn't found many documentation about it. Same for different network use cases it's not that easy to integrate the networking part in already existing setups. But that goes for every private cloud imo. The flexibility to launch a server whenever you want the way you want. from GUI to command line. "It has some limitations but is good." Beeing able to deploy apps accross zones. The part I dislike the is that, as far as I am concerned, there is a lack of billing tools for it. My company is using cloudstack as it main IaaS platform, which means that much of ours stack deployment depends on it. updates were slow but this has improved. The ACS is being led by a smart group of committed developers. The level of cloud expertise within the ACS community is breathtaking. Would recommend the CloudStack platform for public, private, and hybrid solutions. * We monitor all CloudStack reviews to prevent fraudulent reviews and keep review quality high. We do not post reviews by company employees or direct competitors. Validated reviews require the user to submit a screenshot of the product containing their user ID, in order to verify a user is an actual user of the product. Hi there! 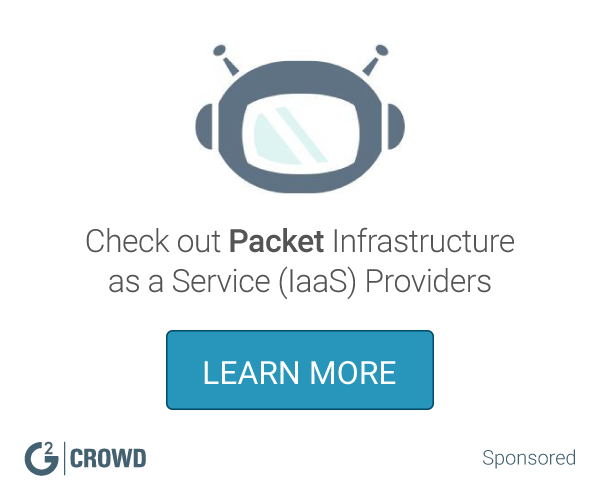 Are you looking to implement a solution like CloudStack?